How about reading stories featuring animals? Goal : providing a type of vocabulary that you can’t find anywhere else. I like this idea! Perhaps some traditional stories? Fables? And Jātaka tales? 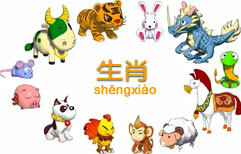 You can start with a lesson on the Chinese Zodiac !! Um … Not exactly the same kind of fiction, with talking animals, that I’m looking for … (Just simple stories, traditional or not, but no religious background) … Some books for children in China got plenty of these stories … Only problem : the length (Chinesepod lessons are short so we need short tales). Anyway, thanks for trying to help me.